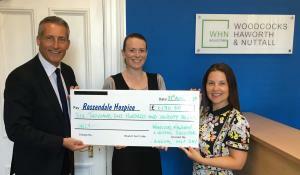 WHN Solicitors’ annual charity golf day has raised £6,170 for us. WHN Solicitors’ charity golf day has raised £6,170 for us – taking the firm’s fundraising from its golf days over the last decade to £47,000. 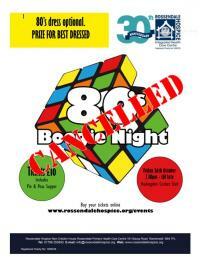 The 2017 event saw nineteen teams tee off at Rossendale Golf Club, including Handelsbanken, who won the competition, Barclays, Peel Group, Moore & Smalley, Best Supportive Tenancies and Lancashire Trade Frames. Golfers were treated to dry weather and picturesque views of the surrounding Pennines as they completed the 18-hole course. Afterwards they enjoyed drinks and a meal. 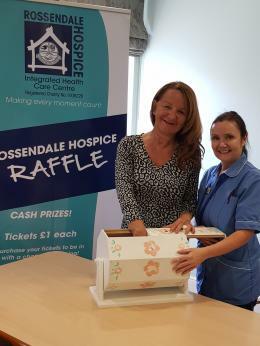 David McCann, Senior Partner at WHN Solicitors, said: “It is gratifying and fulfilling to have worked with Rossendale Hospice over this ten-year period. The work they do is so crucial to our local community and we fully intend to continue with our efforts in years to come.